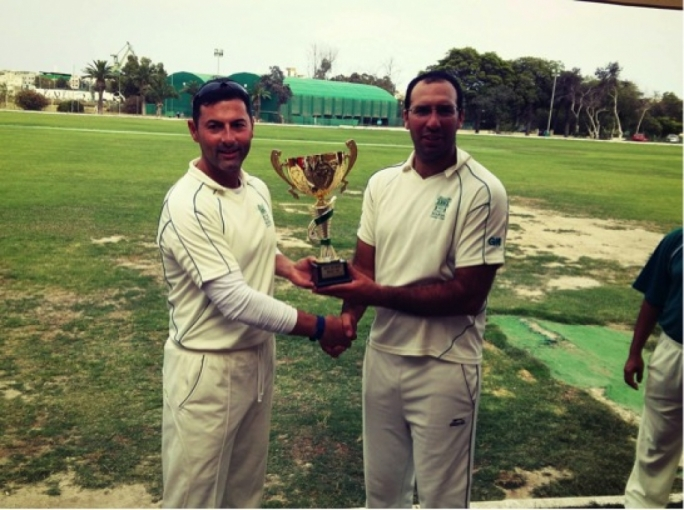 Over the past week the Marsa Cricket Club hosted another touring team from the UK for a three match series. 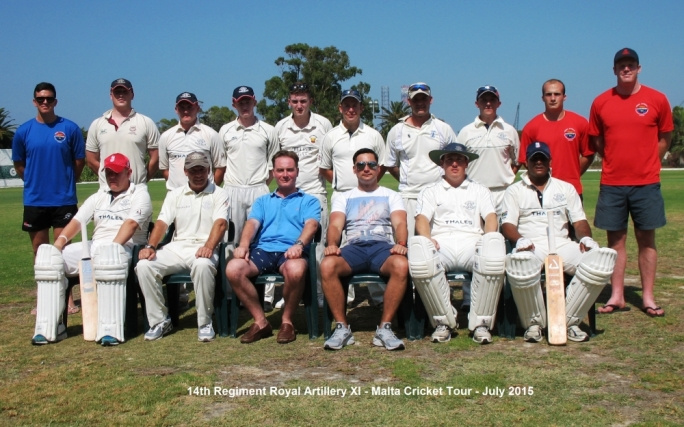 This time it was the 14th Regiment Royal Artillery XI cricket team to compete in the Maltese summer heat! A T20 match on Thursday 9th July saw the R.A.R. XI batting first. The innings see-sawed with a brilliant start for the openers (C. Ross 40, S. Govender 32), a middle order collapse ( six wickets for 22 runs) and then a flurry of runs during the final two overs (K Ramage 12, J Wheeler 8). 14th RAR XI were all out for 142 in twenty overs. For Marsa, Clyde Rossouw took 4 wickets for 19 runs. 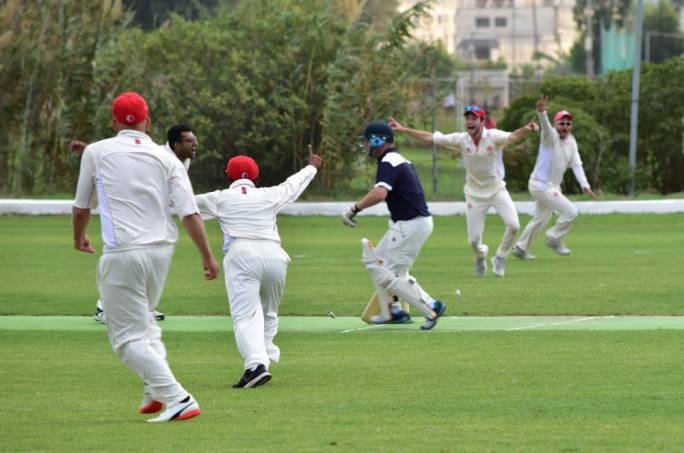 Marsa skipper Tony Azzopardi (26) opened the batting and attacked for a win but was left embarrassingly standing at his crease on his own as the next three wickets ( J Rossouw 0, J Grima 0 and H Majeed 2) fell for 2 runs using up 20 balls. With accurate bowling to face and a shortage of overs left it was an uphill task for Sam Aquilina (23 n.o) and Andy Naudi (6) to chase the runs and sure enough the Marsa team fell short by 13 runs. The bowling honours went to Ian Forrester; 4 overs, 3 wickets for 6 runs. 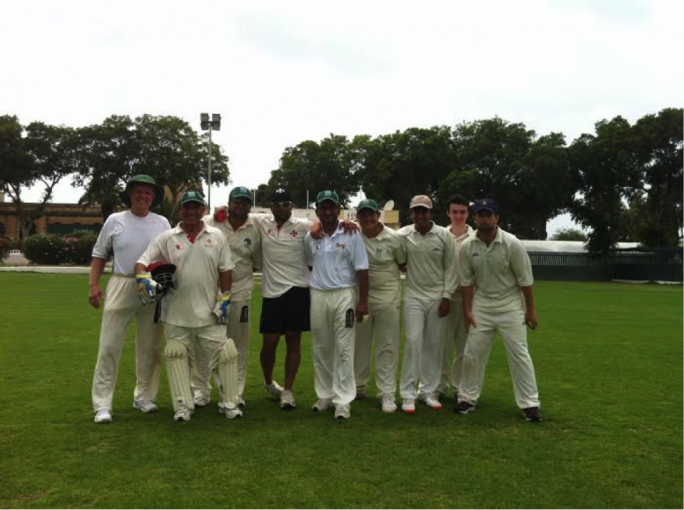 The second game on Saturday was a 40 over match and yet again the visitors outplayed the young Marsa Select side. 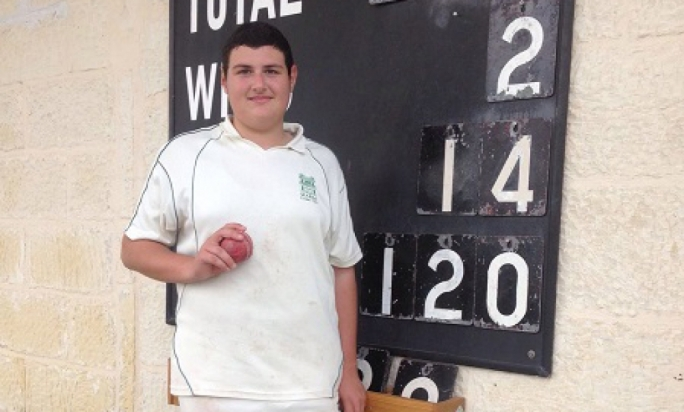 Marsa batted first and scored 143 in 38 overs. 14th RAR XI only needed 22 overs to win the game convincingly by 4 wickets. So with the series lost Marsa needed a win in the third game to avoid a whitewash. Sunday’s game was reduced to 30 overs due of the heat. The visitors won the toss and elected to bat first. 14th RAR XI piled on more heat with their opening partnership. C Ross (17) and M Cook (69) put on a partnership of 72 runs in 10 overs. Wicket keeper J Grima’s dropped catch in the early overs proved costly. It wasn’t a very good week for wicket keepers as Brad Haddin also fumbled in the Ashes Test! 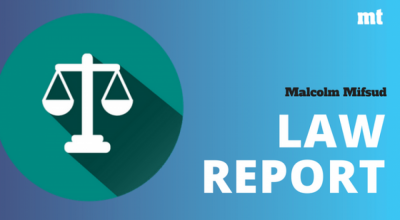 Marsa managed to pull the reigns back on the galloping visitors and their innings total was held to 178/7. For the Marsa run chase, the in-form Sam Aquilina opened the batting with Tim Wheeler. But wickets started to tumble and a frustrated Sam Aquilina (87 n.o), for the second time in a week, was left at the crease just short of his century and seeing the Marsa team lose again, this time losing by 15 runs with two overs left. So the Marsa CC team had to wave the white flag and the 14th Regiment Royal Artillery team came and conquered. 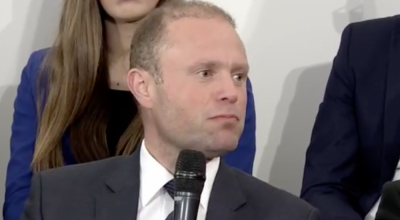 Team captain Ian Forrester only had praise for both teams, the players and tournament organization during his short speech and later joined his fellow teammates and Marsa players for some “light” refreshments to cool off in the Maltese heat. 14th Regiment Royal Artillery XI win the series 3-0. Man of the Series: Ian Forrester – Batting: 61 runs. Bowling: 18 overs; 11 wickets for 50 runs.